Using Google Forms is a quick way to evaluate students' level of mastery. Students receive immediate feedback after submitting their Google Form by clicking on “View Score.” Google Forms can be used with or without Google Classroom. 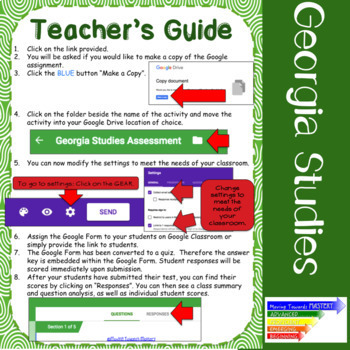 New to Google Forms? A step by step teacher's guide is provided. A step by step student guide gives directions to be projected. 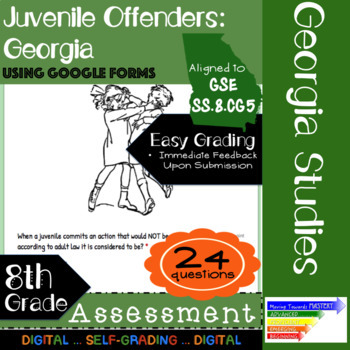 ♥ Need a digital Georgia Studies lesson? 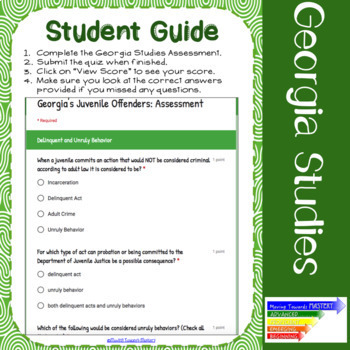 ★ Follow Me to be notified of NEWLY released Georgia Studies resources.